Today, iBoot has received a major update. No longer will there be multiple versions of iBoot, but one unified version for any supported Intel CPU with either ATI or NVIDIA graphics. The new version is a permanent replacement for all previous versions of iBoot, including iBoot-NVIDIA, iBoot-ATI, iBoot-ATI-5xxx, and iBoot-Supported. We've rolled in the latest pre-release version of Chameleon 2.0 RC5, and for ethernet, the latest beta version of Lnx2Mac's RealtekRTL81xx.kext. For desktops and laptops using unsupported Intel CPUs and graphics, a legacy version of iBoot can be downloaded here. As always, follow the iBoot + MultiBeast method for installation. Please note that iBoot is an installation tool, and is not intended as a substitute for installing Chameleon to your hard drive or EFI partition. If iBoot has helped you, please consider a contribution to support further development. Thanks in advance, and enjoy! UPDATE: iBoot 2.5.1 now includes 10.5.0 kernel and updated USB support for 10.6.5. It's now possible to get HDMI digital audio + video outputs working on your custom build. The trick is to get a supported graphics card. Here are a few methods to enable HDMI audio + video using an NVIDIA GT 220 or GT 240 graphics card with a Gigabyte motherboard. NOTE: Since the NVIDIA GT 220 or GT 240 has its own audio chip, you may lose audio functionality with your current onboard audio solution. UPDATE: The Easy Method also works for the NVIDIA 430, 450, 460, 465, 475, and 480, since they also have an onboard audio chip. Advanced Method is not working. Enabling video is the first step. You may use any of the methods described in this article: Enable Full Graphics Card Acceleration. 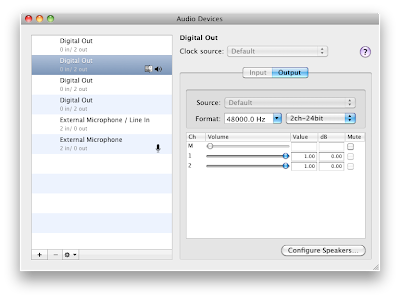 With VoodooHDA, a complete replacement audio solution, you can use your HDMI device without any further configuration. To test, install a VoodooHDA version through MultiBeast. Since some of these drivers are experimental, you may get kernel panics on install and with use. In my own experience, VoodooHDA 0.2.1 and 0.2.56 work best for the GT 240. 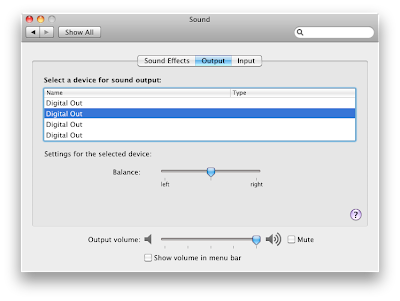 You'll find upon reboot that in Audio/Midi Setup and System Preferences there are 4 Digital Options- the second one works for HDMI audio out. Using the default AppleHDA is also possible, with HDMI identified as built-in. 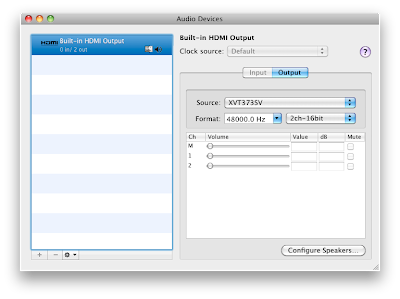 You can configure the NVIDIA GT 240 to use the native AppleHDA.kext for your HDMI solution independent of any onboard audio chip. This method is considerably more advanced. NOTE: Use 10.6.4 AppleHDA or earlier, 10.6.5 or later will NOT work with this method. Configure your graphics card without kexts, Chameleon's GraphicsEnabler or EFI strings using the following article as a guide: Advanced DSDT Fixes: NVIDIA Graphics. GT 240 users can skip this step. Next, we'll add HDMI audio edits to the graphics section of our DSDT. 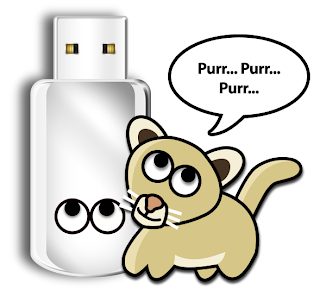 Type Device (PCI0) in the search box to return to your previous graphics edit. You must now remove all Enablers, GraphicsEnabler=Yes, and EFI Strings from your system to test the new injection. Delete any graphics enabler kexts in both locations such as NVEnabler or ATY_init. In order to use AppleHDA.kext for HDMI audio, GT 240 users will need to patch the HDMI audio device id from the standard 0x10DE000A to 0x10DE000D using a Hex editor. GT 220 users can skip this step. Make sure you're updated to the latest version of Mac OS X. Run KextBeast to install the new AppleHDA.kext and rebuild caches. Credit to tmonkgol at Insanelymac. Hope this works for you! One of the things I love about Mac OS X is that you can learn new features even after using it for years. Here's a tip I picked up via the Mac Life Podcast recently. If you've got a messy desktop, you can get to a window's content and still keep the focus on the top window. Just hold down the Command key and move the window with your pointer- it will not overlap the top window. Great for referring something in the background window and typing in another.